3 Bedroom Semi Detached House For Sale in Tunbridge Wells for Guide Price £320,000. 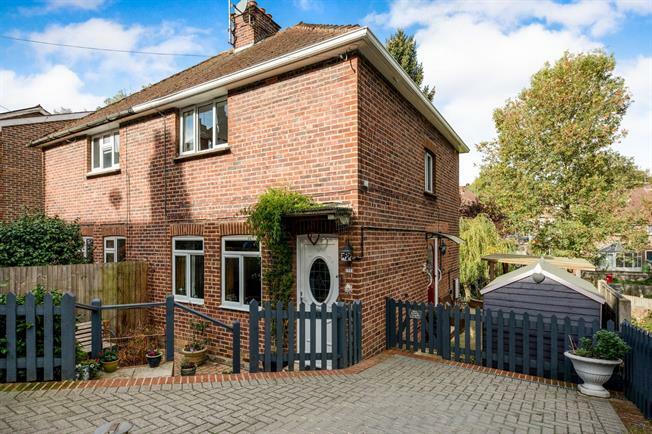 Set in the popular village of Rusthall just outside of Tunbridge Wells. The best of both worlds can be enjoyed, with countryside walks in the surrounding area and a real village community lifestyle on offer. Yet just a 5 minute drive into Royal Tunbridge Wells with a mainline station into London. The property itself benefits from a bright and spacious lounge with gas fireplace, adding to the instant welcoming feel here. A well appointed fitted kitchen with views out to the garden, and a cleverly thought out easy to maintain bathroom with white suite. Stairs rise to three bedrooms one being a large double and two large singles plenty of space for the whole family. Outside the property benefits from a driveway, side access to a beautifully private decking area and onto a sunny rear garden. At the bottom a large shed/workshop is positioned, with electrics already installed for the new owner. A viewing comes highly recommended.